In a club like Clann na nGael, there’s no such thing as a single game of football, regardless of its importance. When you sit on top of your county’s roll of honour, when only three clubs in Ireland have won more provincial titles than you (Corofin, Crossmaglen Rangers, Nemo Rangers), and when your club has produced some of the most famous names in Roscommon football, every match is part of a rich tapestry of history, a page in a weighty tome rather than a pamphlet of its own. The story of the last 50 years and more will always provide the backdrop to events of the present day, and that was in evidence when Clann na nGael manager Fergal Shine spoke about the first meeting of his club and St. Brigid’s in a county final for 21 years. 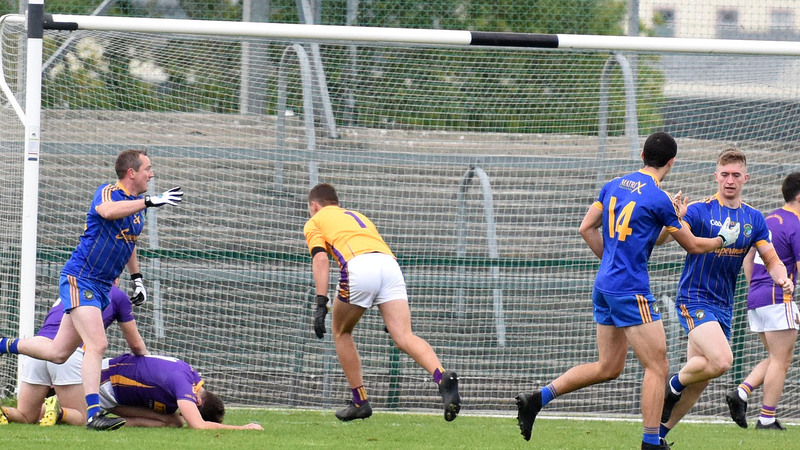 “It’s a good game to be going into, against our neighbours,” said Shine after his side’s nerve-wracking one-point win over Roscommon Gaels on Sunday. “They’ve been there, they’ve been like the Clann of old. The last time we played Brigid’s in a county final, I was playing myself, right here in 1997. They put an end to us that time and this is a chance to reverse it around. I’m on the sideline this time against St. Brigid’s in a county final and I’d like to turn it over on them”. Whether it’s because of their rich history, or their local geography as next door neighbours, there’s no other club in Roscommon whose manager would be able to respectfully acknowledge the ability of the Kiltoom-based club, while at the same time confidently assert that he expects his side to be competitive in their bid to deny St. Brigid’s an eighth Fahey Cup victory in the space of nine years. The tinge of nervousness one might expect from others was nowhere to be seen. “They’re a hard team to beat, they know how to win and they’ve been doing that,” admitted the Clann manager. “They have good players, both experienced lads and young lads coming in. It’ll be a battle but we’re hopeful that if we pick up the performance again, that we’ll be there or thereabouts,” he stated. While he readily admitted that his players were way off the pace in the first half of Sunday’s semi-final, Shine felt that the manner of the victory will be a huge fillip to his team on county final day. “That’s probably the second time that happened us recently. It was the same against Western Gaels in our group game at Frenchpark,” he said, referring to his team’s anaemic first half display. “We went in seven points down at half time in that game and we turned it around. We knew here again today that we hadn’t played. We were stuck to the ground and we were lucky to only be three points behind at that stage, even playing with the wind. “We like to kick it early because we have good forwards that thrive on that, but the Gaels blocked that option off today, and we were a bit slow to change,” he acknowledged. “We kept kicking it and they were mopping up the ball there in the first half. That happens when you’re playing with the wind. Fellas force it a bit because they feel they need to get scores on the board. “In terms of tackling and turnovers, we upped the tempo a lot after half time,” he continued. “The boys have worked hard on tackling, getting in around guys, doubling up on them. That’s the way the game has gone. You have to get in and hit, without fouling, and turn over the ball. We weren’t doing that in the first half, and the Gaels were doing it. They bullied us in the first half and they could have been a lot more ahead. In the second half we came out firing, and getting a one-point victory was sweet, given the hole we put ourselves in. “It wasn’t a great performance at all. But this was a semi-final, it was just about winning and hopefully the performance will come the next day,” he concluded.